The best way to see the most famous and beautiful landmarks of New York City. All of our bikes are Trek or Giant brand bikes new to this model year with no tacky advertisements on the bikes. Your bike rental package(s) include bike(s), map(s), lock(s) and helmet(s) (optional if under 14 years old). Some of the sites located near where you will pick up your bicycle(s): The Empire State Building, Rockefeller Center, Times Square, Bryant Park, Central Park, Grand Central and The Brooklyn Bridge. Your bike adventure starts with choosing what kind of bike you want to ride and getting set up at the helpful shop. Tandem bikes may be available and, for an additional cost, road bikes, child bikes and child seats may also be obtained. All rentals include helmets (required for children under the age of 14) and require an adult present for the rental. After you’ve been set up with your bike, take off and explore Central Park’s 840-acres of exciting terrain. 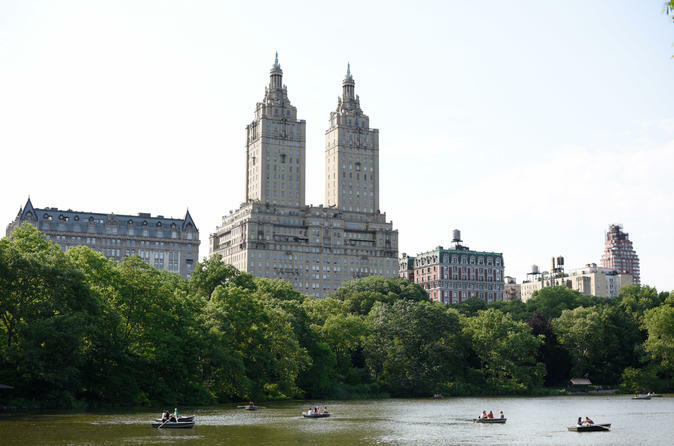 There are numerous popular tourist sites to visit, including Strawberry Fields, Cherry Hill, Tavern on the Green, Bethesda Fountain, Onassis Reservoir, Cleopatra’s Needle and the Dakota. Don’t forget to wander the park’s less well-known areas as well; there are lots of hidden spots perfect for taking a break in the grass. If you’re feeling adventurous, leave the park behind and set out to see the rest of the city on two wheels, traveling along waterfront bike paths and protected bike lanes. Visit Times Square, the Museum of Modern Art (MoMA) or Metropolitan Museum of Art, or just ride around and people watch. Wherever you go, you’re sure to have a unique New York City adventure aboard a city bike. Your bike rental shop can tell you if it’s possible to return the bike to a separate location.